Updates from Senator Tim Knopp. 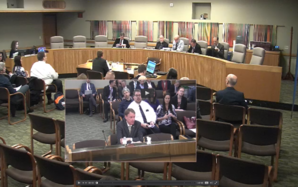 On Thursday I testified on SB 571 in the Senate Committee on Business and General Government. The bill, which can be read here, provides a tax credit to small businesses for creating new jobs. Watch my testimony by clicking on the image to the left. Our legislature has made it harder and harder for small businesses to get by in recent years, and this is a real opportunity to show support for the cornerstones of our local communities. I’m proud to stand alongside these businesses and will continue to fight for them in the Capitol. 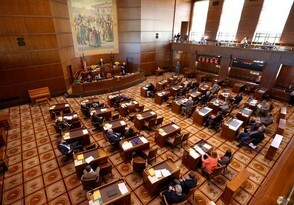 SB 243 is a bill that Jeff Wilcox, a constituent from Bend, and I have been working on for some time. Jeff reached out with his concerns about how unfair hiring practices could be hindering our veterans' ability to find work. Given Jeff's personal experience and knowledge of the transition from military to civilian life, we believe a study to determine if there are unfair hiring practices against veterans is needed, and that's exactly what SB 243 would do. Our veterans have made immense sacrifices for us, and we must ensure them a fair hiring practice when they return home. I greatly appreciate Jeff bringing this issue to my attention and helping me to work to create fair opportunities for those who served us. 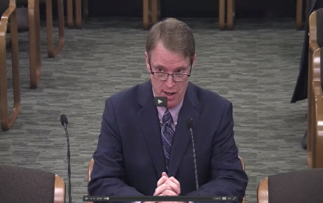 You can watch mine and Jeff's testimony by clicking the Image above. On Thursday, the Senate convened on the floor for our first votes of the session. We voted on six pieces of legislation on a variety of issues, and we welcomed Senator Shemia Fagan to her first vote on the Senate side of the building. The Knopp family has grown by one this week! 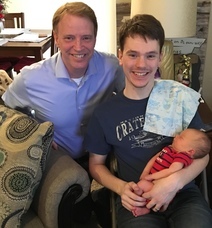 My oldest son and his wife welcomed their son, Oliver William Knopp, to the world on Monday. He is happy, healthy, and loved. Melissa and I are feeling blessed and excited for the adventure of being grandparents and look forward to watching him grow.